Being an adult can be tough. The real world of working, paying bills, working again, etc., etc., can be a real downer sometimes. So, I think it might be that time again to get out, spend some time with your friends and have some fun over the weekend. Something my friends and I enjoy doing is spending some time outdoors camping. While we’ve evolved passed our childhood years and the regular camp games we used to play as kids (mostly), there are still a lot of games we enjoy playing while we’re out on a camping trip. Because hey, let’s face it, camping with a whole bunch of people can be quite boring without any fun camping games for adults and different activities to do. While I think some of these may be all right if there are some kids hanging around, others may be for adults only. Seriously. Let’s give it up for the first card game to make our list. This one can leave you gasping for air in laughter. You can buy the full set from their website or you can even download it for free (just, with less cards of course). The game is simple. Each round, a player will ask a question from the black card and everyone else answers with the white card. You can end up with questions like “This is the way the world ends, not with a bang but with ___” and respond with “my humps”. The questions are extremely random and the answers extremely witty, but strictly for adults though. We don’t want to go scaring any children away. I’m sure we’re all familiar with this by now. 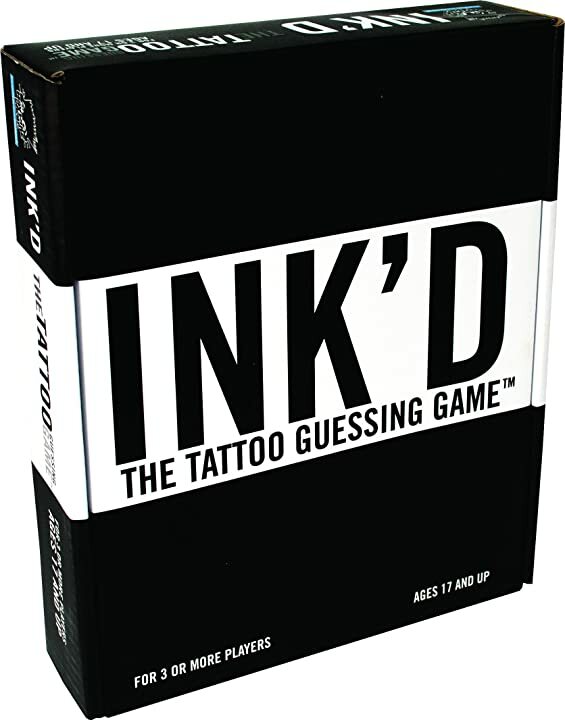 But for those few of you who surprisingly have never heard of this classic game, each player takes turns telling everybody two truths and one lie about themselves. Ideally, the more personal and outrageous, the better. The trick is to make it as difficult to guess which is the truth by picking a truth that sounds more crazy than your lies. Once again, make this fun by adding some consequences to the game. A.K.A. “The Winking Assassin”, “The Godfather”, “Detective” or whatever other names it’s been called throughout the years. You all pick a murderer and a detective randomly and secretly. You can do this by drawing cards or cutting up strips of paper and writing “murderer” and “detective” on two of those strips and drawing randomly. Then, the murderer will have to start “killing” people by winking at them, and they in turn have to act dead for everyone to see. The detective’s goal is to find the murderer. But if the detective falsely accuses someone, the game is over. Pretty much a classic game as well, or you can do it the way my friends and I used to, by actually having to move around the campgrounds to hide from the murder, and the murderer will have to tap you on the back. This one is a bit more difficult as you’ll have to be sneaky. It’s also best to limit the playing area so the detective still has some chance of finding you. Are you still unclear of how to play? Here, this (http://www.wikihow.com/Play-Wink-Murder) should help you out. All right, fine. This is a game usually played by kids, but come on. Those disgustingly flavored beans are enough to turn any adult into a slithering, crying baby. Flavors include things like booger, dirty diaper, dirt, vomit, rotten eggs and so much more vile and repulsive flavors. This one is pretty cool and I’ve actually never heard of it, or at least we’ve never thought about it. It’s another twist on the classic capture the flag. This makes more sense though since you’ll be camping all day and night, it might be an awesome game to watch all the glow sticks moving around in the dark. You can check it out on “Let’s Get Together” where they talked about how to play the game. This one is quite similar to murderer but just a bit more intricate and complex as this game will need a moderator. Usually you play this with cards which you can get here. Basically, each player gets assigned a specific character from the cards drawn out randomly and secretly. But the basic gist of the game is that there are some werewolves who will have to kill people through each round. Everyone will take a turn trying to point out who the werewolves are. There are special characters around such as a Doctor, who can heal himself or someone who was killed, or a Seer, who has the ability to ask the moderator to reveal a wolf. It’s all about stragety. You can read more about it on their website (http://www.playwerewolf.co/rules/roles/) as well as the rules. This is more of an 7.5 on the list since it is basically the same as the Werewolves in #7, but with different characters. For example, there is a little girl who gets to peek during the “night time” part of the round, cupid who can make two players a couple in which their objective becomes to make sure they both survive regardless of their original characters, a hunter who can choose to kill someone they think is a werewolf and so much more. The brand also has different expansion sets for the game so you get more characters, more gameplay and different stories and strategies to play out. This is another cool game you can purchase. It’s like charades but the piece of paper to draw on is your body. You draw two cards – one will tell you what you have to draw, and the other will tell you on which part of the body of your partner. To make things more fun, use permanent marker so the person has to go to work on Monday with scribbles from the weekend! Or this is kind of like Madlibs, or other names for the game. Basically someone starts with the sentence, “There once was a skunk who…” and each player takes turn saying an additional sentence to add to the story. You can start it any way you want and come up with all kinds of crazy stories that could be really funny. Just as the name suggests, you play dodge ball but with water balloons instead. This can be really fun, and you’ll find yourself actually trying your best to avoid those water balloons if you’re playing at night, because it will be freezing! Are you now excited to go out this weekend for your trip? Don’t forget to bring all the stuff you need for your trip plus some game or two ideas from this list. When you have a great set of friends, all you need is a great set of games to make your camping weekend a fun, bonding experience. My friends and I never go to a camping trip without bringing some games with us, and it really brings us all closer together. Got any more ideas on fun camping games for adults? Add them in the comments and share this article with your friends and start planning your next weekend camping trip!